Kit consists of 10 gauges and 49 additional components for professional monitoring and documenting condition of cracks in buildings and civil engineering structures. 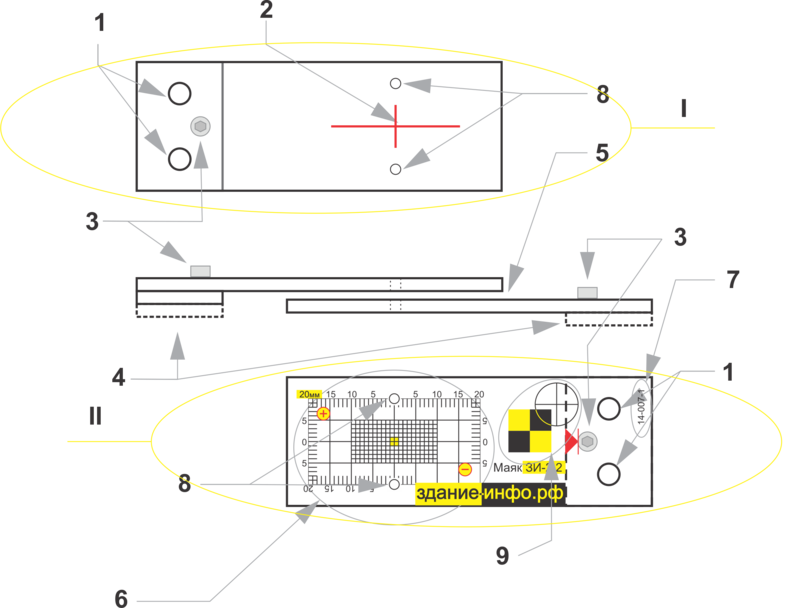 The crack monitor zi-2.2 has a wide range of applications. It is designed for any buildings and engineering structures. Suitable for any construction of basic building materials - concrete, masonry, etc. It can be used to monitor cracks in walls, foundations, floors, frames, and much more. Fix using Screws or Adhesive (not included). Visual monitoring the movements in the two orthogonal axes, accuracy 1 mm. 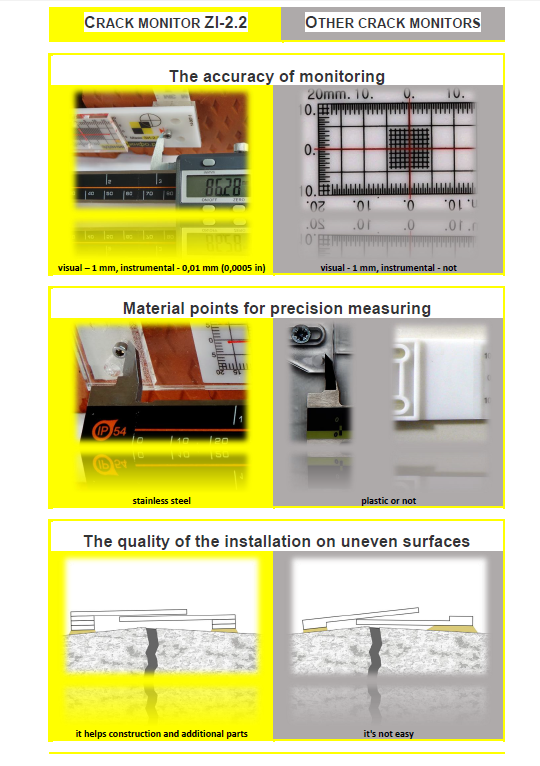 Instrumental monitoring of crack width with calipers (not included), accuracy 0,01 mm (0,0005 inch). 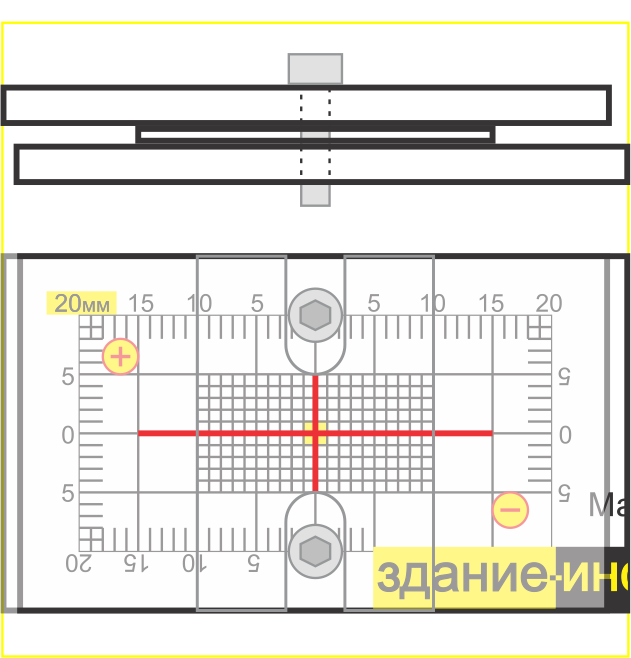 Tools brand "zi-Monitor.com™" are designed and manufactured in Novosibirsk (Siberia, Russia). The manufacturer and brand owner Sole trader Bezrodnykh Alexei. 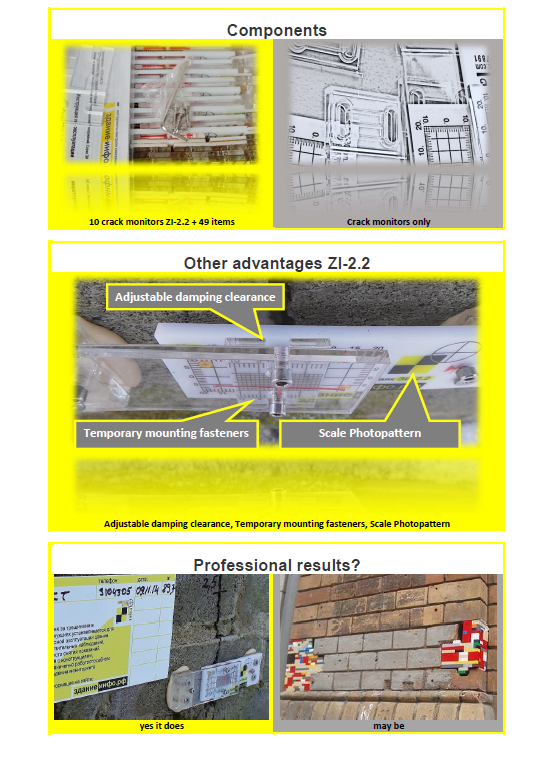 Tools zi-Monitor.com used by professionals in surveying, inspectors and experts in buildings, engineering structures. The device passed field tests in harsh climatic conditions of Siberia over 3 years. The design of the device developed on the basis of practical long-term experience of Russian specialists taking into account modern trends and technologies of production. Not all monitors cracks are the same!